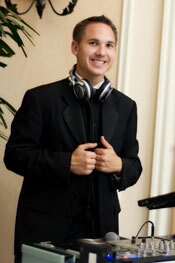 With over 10 years as a DJ and production designer I am confident I can provide you with the best experience possible. Advance Entertainment Productions Inc. was started with a basic philosophy in mind, to provide brides and grooms with a unique wedding experience unmatched by any other company. 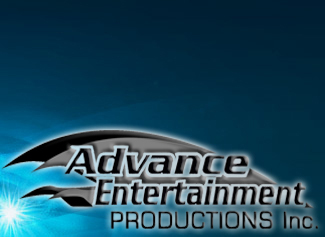 My name is R-J Vida and I am the owner of Advance Entertainment and I invite you to experience the difference. With features in various bridal magazines and even the 2009 WE networks #1 show, Platinum Weddings, be confident that you are getting the absolute best in the Industry. Today the most common tag line is how other companies DJ’s are not cheesy or corny. Well what else do they provide beyond that. I agree that cheese is out, in fact in plain English I don’t do cheese. I believe as a DJ it is important to carry the evening from start to finish. It’s the job of the DJ to give the evening a flow because he is not only your DJ but also your emcee that needs to be able to command a room at moments notice. I do just that. I believe that you can be a great Emcee/DJ and do all of that without being obnoxious or over the top. Read my reviews my clients couldn’t agree more. I customize each wedding around the couples wants so no two weddings are ever the same. I don’t believe in using the same playlist at each wedding as I pride myself in reading a crowd and playing to their needs. I treat every wedding as if it were the most important event I have ever done because for a Bride and Groom it is the most important day of their lives and it deserves nothing less than the best. I also bring unique skills to the tables that are extremely uncommon in the Wedding industry. When it comes time to dancing I mix all of your music from Motown to top-40. I keep the party going without stopping in-between songs or jumping abruptly from one tempo to the next. Your time on the dance floor will continue from the start of the evening and continue on till the very end. I take all my years of experience and skill from being a local radio host to DJing in some of the top venues in the state and bring them to the table providing you with the best DJ experience you will ever have. I guarantee it. If you’re looking beyond just the DJ aspect of your wedding contact our sister company The Production Crew for everything from Custom Mongram's/Gobo’s, Video Projectors, Plasma Screens, LED Wall Up lighting, and even White or Black Room Drape.